This page is here to help you use The Coping Kete in times of high distress – when you are feeling really angry, sad, anxious, hopeless, scared or just completely mixed up, or when you feel like acting on your thoughts and feelings in a way that might be unhelpful in the long run. The Coping Kete is set up to help you learn new ways of coping so they are familiar to you in times of stress and distress. Sometimes we don’t know we need new coping strategies until we are in distress and find it is overwhelming us. That is not the best time to learn new coping skills. But that is when we need them. Luckily, there is always something we can do. It’s harder to learn new things when we are in crisis, but there’s no reason why you need to wait to start trying something different. You’ll find things in The Coping Kete that you have done before too; it won’t all be totally new, but it might be put a bit differently. It’s hard to even think of things to try when emotion is high, so The Coping Kete can serve as a good alternative to thinking of what to do next. After a while, this stuff will come naturally. 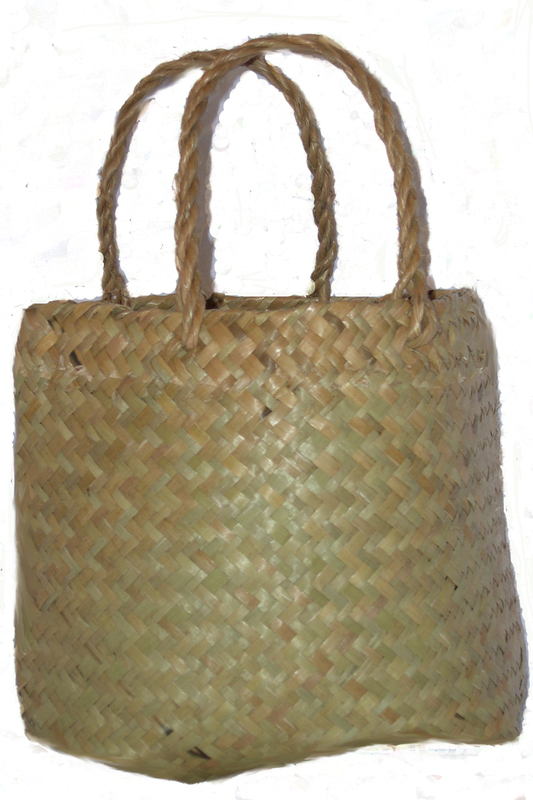 But reminders like The Coping Kete are here to help until they do. In a crisis, the goal is not to do the strategy so it ‘works’ but to do the strategy so we survive the moment. If you are surviving, consider yourself winning, even if you are having an unpleasant time of it right now. If the goal of recovery is to learn to value ourselves in times of stress and distress, then the goal of coping is survive those moments without harm and with self-care. You might be surprised what can happen when we make a simple shift in goal like this, one that has space for the hard stuff to be held. Sometimes when we accept it instead of fighting with ourselves about it, the distress gets smaller and easier to deal with. Accepting it doesn’t mean we don’t get to do anything about it either. When we are doing something positive or neutral like the strategies in The Coping Kete, we are not hurting ourselves, our future, our relationships, anything or anyone. So pretty much any strategy in The Coping Kete is something you could do in a crisis moment or when you are highly distressed. Some times anything is better than our usual way of handling it, especially if that way involves hurting ourselves or lashing out at others. Even if all you do is read strategy after strategy, that would count as distraction and you’d have gotten yourself through a piece of time safely (and maybe learned something for later). The creator of this resource used to stop herself from self-harming by scrubbing walls in her flat; it was physical, messy and it distracted her – whatever works to get you through safely, is what works to get you through safely. In a crisis moment, you can use the instructions in each post to practice the strategy right there in the moment. You’ll need to change the wording in your head though, because the instructions are written for practicing in advance. So where it says ‘this week‘, think ‘right now‘ and ignore anything it says about scheduling it into your week or day or choosing good times to do it. There is a note at the bottom of each strategy about how to use the skill in a distress moment, which you might find helpful. When you’ve done one strategy, check in with yourself and then choose another one to do. Keep doing strategies until you feel like the moment has passed. If we’ve got great distress, it’s perfectly natural that we’ll need more than one thing to help us cope with it. There’s often a whole mix of emotions, memories, thoughts and other baggage that comes with our high distress moments, so we usually need a bunch of strategies together, one by one in a chain. Strategies from the Self-Soothing, Expression and Support, and Mindful Distraction categories are likely to be most helpful in a time of crisis. Try to pick simple strategies that don’t involve a lot of preparation or materials as they will be easier to use straight away in a tough spot. Some strategies you can do sitting there in your chair, or wherever you are right now. Sometimes physical strategies are good at times of high emotion because the mind is forced to focus on something else and we can channel our energy out. 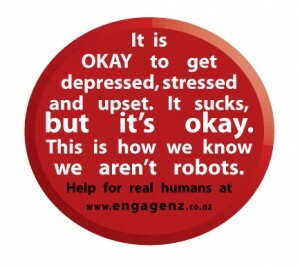 Learn more about different kinds of coping here. If a strategy is hard and you can’t focus on it, or you keep talking yourself out of it, remind yourself that this is a hard time right now and so it’s natural you’re finding it tough to try different things. It’s well worth giving yourself a bit of credit for even giving it a go at such a tough time. Give yourself permission to come back to the strategy at another time when things aren’t feeling so heated for you and try something else. If you notice a strategy making things feel worse for you, leave it for now and move on to something else. Some strategies just won’t be the right kinda thing for you in this moment and that’s okay. Not every strategy works for every person in every situation, we are all different and we have different needs depending on the situation. This is why it helps to practice first when we are calm, because it’s not such a nice experience to find it hard to cope when we are distressed. Give yourself compassion for being human. If you are so distressed you think you are going to hurt yourself or someone else, call your local Crisis Team. You’ll need to leave a message and someone will call you back to talk. While you wait, do strategies from the kete. Or read a book. Or wash the dishes. Anything at all that can involve your hands and attention until you hear from them. If you can, let someone you trust know what you are struggling with. The crisis team will talk to you about how you are feeling and try to come up with a plan with you that will make sure you are safe. You can find their number in the front of the White Pages or in The Community Resources Directory. If things are so bad you are actually underway with a suicide attempt or have self-harmed in a way that needs emergency medical attention, call 111 immediately and ask for ambulance. If you need someone to talk to, you can find a listening ear at the other end of these helplines. Your trusted friends and family members are also people you might call on for some support at a time like this. Simply having people around can help ground us in the present, distract us from the overwhelming feelings, and connect us with some comfort. If you don’t have that option or don’t feel able to connect with them, reach out to one of the helplines above. Please note: The Coping Kete is not continuously monitored so online comments or emails requesting help may not be picked up for a number of days. In a crisis you need a fast response. If your safety is at risk, please reach out to one of the options above.